Known for its mild weather, rolling hills, beautiful architecture, and distinctive landmarks including the Golden Gate Bridge and the former Alcatraz Federal Penitentiary, San Francisco is one of America’s most beloved cities. Undoubtedly, San Francisco has a quality of life that is among the best in the world. But San Francisco’s excellent quality of life also comes with a high cost of living. The city’s real estate market is one of the most expensive in the world: it’s not uncommon to find a million dollar fixer upper. 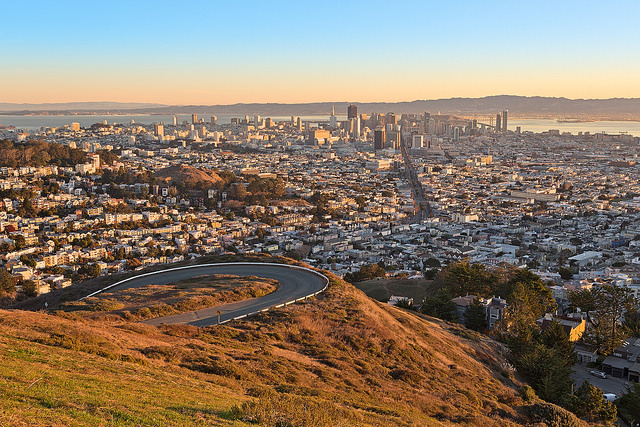 San Francisco is consistently one of the hottest real estate markets in America, often at the top of real estate hot lists as demand for homes in the Bay Area makes offers competitive and drives up prices. Prices are expected to continue to rise. In San Francisco’s competitive real estate market, it’s imperative that you have an excellent real estate agent to support and guide you whether you’re buying, selling, or investing in the Bay Area. A strong real estate agent can help you find the right home at a great price with a home warranty, help you sell your home for what it’s worth (or more), and make it easy for you to consider smart real estate investment decisions. We’ve highlighted 15 of San Francisco’s best real estate agents. They are the city’s leading agents offering experience, expertise, and excellent service. As any one of them would be a smart choice for your next real estate transaction, we’ve listed them in no particular order. But we do want to know which one is the best. We encourage you to vote in our poll to let us know which San Francisco real estate agent you think is the best in the city. Be sure to vote today, as the poll will close in 30 days! 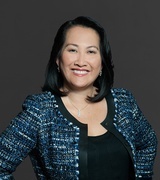 A 22 year veteran buyer’s agent and listing agent, Deborah Nguyen is proud of her strong roots in the Bay Area. Nguyen is a native of Vietnam and a graduate of San Francisco State University. She is committed to putting her clients first, listening to what is important to them and achieving their goals with the least amount of inconvenience. Nguyen has consistently ranked among the top 1% of San Francisco real estate agents, and in the last 10 years, has sold more than $250 million in real estate. She has also been named by Real Trends as One of the Best Agents in America. Her clients say she is nothing short of amazing. They value her professionalism, patience, attention to detail, and no nonsense approach with fierce negotiation skills. Clients trust Nguyen as a true advocate on their side. A broker and certified residential specialist, Craig Ackerman has more than 21 years of experience in residential real estate. His history with homes goes back much farther, though, as he worked with his father to buy, update, and sell properties as a young boy, learning how to transform homes and boost their sales prices. These skills have served him in his establishment of Ackerman Realty, where he ranks in the top 2% of all San Francisco Realtors. Ackerman specializes in identifying cost effective home improvements that can improve home values, putting his extensive home remodeling experience to work. 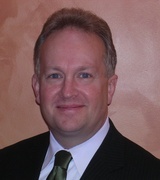 His designations include Master of Business Administration as well as the Certified Residential Specialist designation. Clients say he is meticulous, leaving no stones unturned while offering outstanding service and professionalism. They appreciate the confidence that his expertise gives them — even when they know little about real estate themselves. 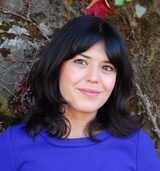 Alina Aeby is a broker associate and Realtor with Pacific Union International. She is dedicated to helping buyers and sellers throughout the Bay Area, particularly San Francisco. Aeby enjoys the local aspect of real estate, spending time discovering and sharing the San Francisco community with her clients, including parks, neighborhoods, changing trends, and resources like restaurants and music venues. She has served as her building’s HOA board president for the past two years. She is also active in the community as a volunteer and donor for Holt International Children’s Services, EARN, Meals on Wheels, and San Francisco Food Bank. Her designations include Certified International Property Specialist and membership in FIABCI, The International Real Estate Federation. Clients are impressed by her tireless work, negotiation skills, and business sense. They appreciate her communication skills, knowledge, and ability to help them meet their real estate goals. 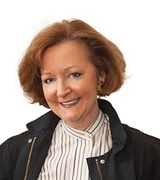 Jane Hopkins is a Top Producer Realtor with more than 12 years of experience in real estate. She promises to make the intimidating process of finding a place to call home in San Francisco simple and easy, offering her clients the confidence they need to accomplish their real estate goals. With a no nonsense approach, attention to detail, and extensive experience, her clients are expertly guided through the real estate market of San Francisco. Clients enjoy her calm, charming demeanor and sense of humor with an expert understanding of what it takes to sell your home or find the perfect place to live. They’re impressed by how well she takes ownership of the entire process from start to finish, making it easy for them to simply enjoy the transaction. 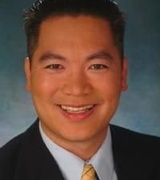 Since 2002, Jason Chan has specialized in selling real estate on the west coast. His areas of interest are in single family homes, multi fanily units, commercial buildings, trust and probate sales, short sales, and 1031 exchanges. He has a background as a financial analyst working in real estate loans and bank deposits, giving him a unique perspective on the financial aspect of real estate sales. His honors include membership in the Prudential Chairman’s Circle, Prudential Legend award, and #1 producer in the Sunset and Parkside district. He enjoys working with all people and is fluent in English as well as Cantonese. Clients say he is the best agent they’ve worked with, and they trust him to help them navigate the tough San Francisco market. They report that he is cool and level headed in negotiations, even in tense situations. 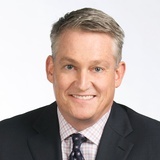 Lance King, owner and managing broker of King Realty Group, has more than 11 years of experience in real estate and has been a Bay Area resident for nearly 30 years. 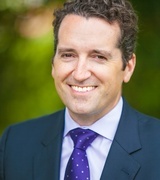 He has a background in construction, residential land, and client transactions. With King Realty Group, he offers experience, a strong understanding of real estate negotiations, transactions, and sales, and dedication to looking out for his clients with superior service. His goal is to offer property owners a smarter, less expensive way to sell real estate as well as an opportunity for buyers to receive both professional representation and a financial reward. Clients find it a pleasure to work with him due to his responsiveness, extensive knowledge, and ability to point out information and issues to them in a helpful manner. They enjoy his ability to stay on top of processes, deliverables, and deadlines to ensure a smooth transaction. Janis Stone is a luxury property specialist with extensive experience in real estate. 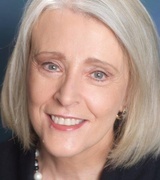 She has been one of San Francisco’s top producers since 1975, giving her more than four decades of excellence serving the city’s home buyers and sellers. In her storied real estate career, she has built excellent relationships with clients, mastering the art of real estate managing homes and multi unit buildings, and even building homes. Stone places a high emphasis on giving her clients the best experience possible with excellent service and a full team to meet every need. Clients note her outstanding service and willingness to serve their needs even years after the transaction. They appreciate her help every step of the way and say they enjoy the experience of buying and selling real estate with her. 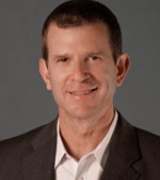 A senior sales associate and top producer, Adam Gavzer has more than 19 years of experience in real estate. He specializes as a listing agent, committing to bring the highest return for his clients. Gavzer offers close attention to detail, excellent marketing and negotiation skills, and close relationships in the industry that make it easy to complete real estate transactions even in a challenging market. Clients are impressed with his knowledge of the San Francisco market and say he is a true professional. They find him to be efficient, tactfully honest, and understanding of important issues in San Francisco home sales. 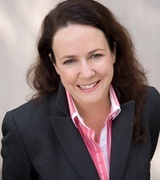 Heather Cox has more than 10 years of experience in Bay Area real estate. 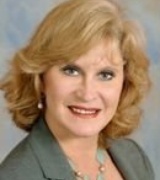 She has experience in luxury home sales, consulting, and property management. She also has a history as a closing agent and has facilitated the closings of nearly 1,000 successful registrations, giving her excellent knowledge of the closing process for her clients. Cox is a San Francisco home owner and has previously served as the president of her homeowner’s association. Clients say she is hard working and they’re impressed by her expertise and ability to handle even complicated real estate situations. They enjoy her passion for real estate, ethics, and ability to negotiate a great deal for them. Stephanie Ahlberg is a broker associate with 37 years of experience in real estate and a more than 40 year resident of the Bay Area. She enjoys a superior reputation due to her drive for positive results and fair win-win negotiations. Ahlberg has been a top ten producing sales agent at her company every year since 1986, and has been the number one or number two producing agent for many of those years. Clients say they know they are in excellent hands with her, as she always protects their interests and keeps them updated and well informed throughout the entire process. They note she is a true professional, offering responsive, attentive, and patient service. 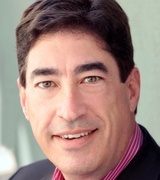 An expert in San Francisco real estate with more than 30 years of experience, Tom Zannelli has extensive knowlege in Bay Area real estate and the skills needed to help his clients achieve their real estate goals. He specializes in single family homes, condominiums, lofts, and multi unit buildings. Zannelli focuses on the North side of San Francisco as well as the South of Market area. With his years of experience, extensive real estate network, and superior market knowledge, Zannelli is an outstanding Realtor. Clients say he offers a high level of professionalism and care, taking the time to complete each transaction thoroughly and with careful explanations for his clients. They’re also impressed with his ability to deliver results, including negotiating a great price and even pushing up closing dates when necessary. Beverly Barnett-Escamilla is one of San Francisco’s top producers and leading real estate agents. Known as a San Francisco real estate guru and fearless negotiator, Barnett-Escamilla gets results in real estate. She delivers a positive environment and truly enjoys the satisfaction of improving the lives of her clients. Her passion is customer service, negotiation, and dedication, making her a committed and highly skilled real estate agent. Clients say she is simply fantastic as she works hard for them through the entire real estate process to deliver excellent results. They point out her hard work, strong communication and negotiation skills, and her intuition as particular strengths. John Farrell, owner of Farrell Real Estate Investment, has more than 30 years of experience in real estate and is a fifth generation San Franciscan. He works closely with buyers and sellers of residential property from first time buyers to long term investors. He delivers excellent results, finding clients the properties of their dreams and using a multi faceted marketing plan to get multiple offers for his sellers. His clients say he makes the sometimes difficult process of buying a home easy and smooth, and he is there for us with answers to their questions any time of day. They value his patience, knowledge, and understanding. 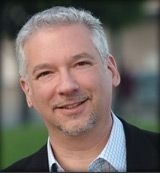 Ron Abta of Bridge Properties was born and raised in the Bay Area, and he has more than 26 years of experience in real estate and is committed to integrity and strong business ethics. He has superior marketing skills and uses both online and offline campaigns to get the highest price for his listings. Buyers benefit from a patient, no pressure approach with excellent area knowledge. Clients say Abta is simply perfect. They appreciate his knowledge of the market, his listening skills, careful approach, and responsiveness. 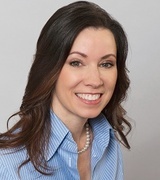 Bonnie Spindler is a real estate professional with more than 20 years of experience. A real estate investor herself, Spindler has fixed and flipped multiple properties in her career. Her passion is in sales of Victorian era homes, particularly their superior design, decoration, and construction. She has earned the titles of Top Producer, Company Top Producer, and All-Time Top Residential Sales Agent. In 2006, she was the city’s fifth largest selling residential agent. Active in her community, Spindler has previously served as president or on the board of organizations including the Alamo Square Neighborhood Association and the Philharmonia Baroque Orchestra. Clients say working with her is a great experience. They’re amazed by her knowledge of Victorian homes and appreciate her patience, excellent negotiation skills, and superior service.